Brock CareerZone Blog: Let's Recap and Send Our Well Wishes! Let's Recap and Send Our Well Wishes! The 2017/2018 school year has been one filled with new and exciting changes for Career Education, and our team got a tremendous amount of work done. 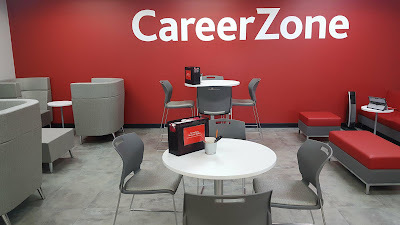 To start, we completed renovations on the new physical space for CareerZone and we are loving it! The new location off The Guernsey Market has provided increased awareness of our services to students, and we have seen an increase in interactions due to it's visibility and accessibility. Additionally, as we adjusted to the new space, the Career Education team discovered new ways in which we could provide services to students. A new initiative introduced this year was the “Employer Take-Over”. Employers could set up in our newly renovated space, and students could drop-in to network and find out more information about upcoming opportunities at their companies. We also launched our CareerZone Street Team. This pilot team of volunteers spread awareness of upcoming events and opportunities to students in the Math and Science faculty, and in the coming year we hope to grow this team to expand our outreach to students in other programs. Furthermore, we piloted a workshop series entitled “CareerZone Café". These 30-minute workshops target specific aspects of the job search process (e.g. answering behavioural interview questions) and allow students to have a detailed conversation with a Career Assistant. Our hope is to implement this workshop series more regularly in September 2018. On top of this, we participated in many successful campaigns, such as International Week, It All Adds Up, and InterviewStream’s Mock Interview Madness Contest. We also saw a great turnout of students attend our events (VolunteerFest, Jobs on Campus, Grad Send Off, and our Exploring Careers In... round table networking events). Lastly, our Career Assistants were fortunate to attend Brock’s Open House recruitment events in both fall and spring, and had a chance to connect with hundreds of potential Brock students and their parents. As a team, we appreciate all of the support we have received from other departments and faculties throughout this school year. We would like to send a huge thank you to the continued participation of Brock students. All of our work is powered by the student body in hopes to help further career development on and off campus. It's April which ultimately means we have to say good-bye and good luck to some of our team members as they graduate from Brock University or explore new and exciting opportunities that have come their way. Preya, Teresa, and Lindsay joined the team in September and have shown an incredible amount of personal and professional growth. Their friendly smiles and warm personalities helped many students navigate multiple aspects of career exploration. Preya will be entering her fourth year of the Bachelor of Business Administration Program and spending her Fall term studying abroad in Glasgow, Scotland. 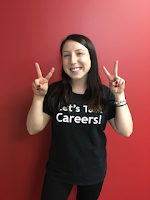 "I had a great time working with CareerZone this year! As a Career Assistant, I had the opportunity to help my peers achieve their goals and work together towards their success. This was a really rewarding experience! I would like to give a special shout out to the Career Education team for being so positive and supporting! The team made a awesome job even awesomer." Teresa will be entering her fourth year of Bachelor of Business Economics and will be studying for the Fall term before moving into a co-op term for the Winter term. "Working at careerzone has allowed me to interact with a very diverse group of people. I have enhanced many skills, such as communication, time management and relationship building. 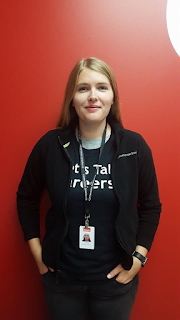 I loved seeing students benefit from the services that Career Education offers"
Lindsay will be finishing her degree at Brock in the upcoming Fall, and seeking new opportunities upon her graduation. "My Brock academic and career experience was amplified because of working with the folks at Career Zone. 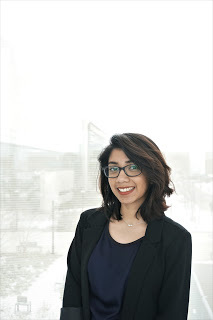 As a Labour Studies and Psychology student, I could take the knowledge I built in the classroom and share what I’ve learned with our student clients, alumni, and community members. Watching them grow and helping others communicate their skills has been both a fulfilling and grounding experience. The wisdom I gained while working within Career Education will follow me as I go forward with my academic and career development." Sean and Andre were our Lead Career Assistants for the 2017/2018 Career Assistant team. Both always brought innovative ideas to team meetings, and provided large insights about our services to the new staff to help them adjust to their new roles. They provided guidance and training to Senior Career Assistants managing projects for the first time. In addition to their professional guidance, their fun personalities made career zone an approachable and enjoyable work environment. Sean graduated from Brock in December and has now embarked on a new professional adventure with Deloitte. 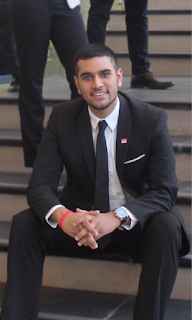 "After working with Brock's Career Education team over the course of three years as a Career Assistant I have gained many skills and experiences that have, without a doubt, enhanced my personal skills and university experience. The work environment within CareerZone is suited to foster learning and growth. The main factor that allowed me to enjoy coming to work everyday and ultimately made the biggest impact on my skill set are the teammates and leaders I was lucky to meet. I was able to build on my weaknesses and grow alongside my colleagues, through the guidance of the leaders within the department. Aside from the learning aspect of working at CareerZone, I had the opportunity to make lasting relationships with my colleagues and this enriched my university experience in (and out) of the workplace. I cherish the memories and skills that Career Education has provided me and it led me to find a career that I love post-graduation. Thank you so much to the amazing colleagues that made me love coming to work everyday, you truly made a positive contribution to my time at Brock University and I am so happy with the decision I made to join Career Education!" 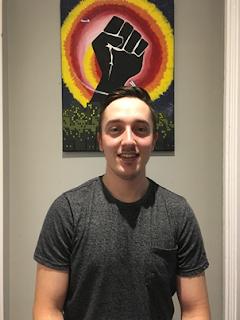 Andre will be entering the final year of his degree upon the completion of his current co-op work term, and will be looking to graduate in December. 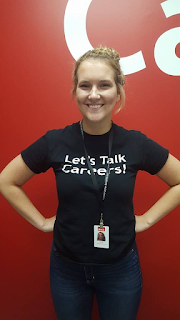 "Working at CareerZone for the last two and a half years has been an amazing experience. All the student staff get well trained on career planning, the job search process, and can work on specialized areas they are interested in. The staff are friendly and support each other in developing skills at work and bridge the gap between school and work in our near future. I would highly recommend it to any Brock student looking for a job. The work environment is always very positive, and you learn valuable skills related to the job search process that have improved the quality of my resume, cover letter, and interview skills. Thanks to CareerZone I am confident in my ability to read job postings and build my application to highlight my skills in the best way to get a call back." Heading into the summer months, our office will remain open Monday to Friday from 8:30 til 4:30 with some great ladies providing you with excellent service! Stephanie and Chloe will be available to answer any of your career related questions in the office, and will also be out spreading information at SmartStart for our new Baby Badgers starting class in September. 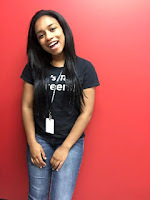 "I’m Stephanie, and I am finishing my year as a Career Assistant at CareerZone. I will be starting as a Senior Career Assistant this summer and I’m excited to see what the position holds! Outside of work, I am a Political Science and Labour Studies major and love to sing. I look forward to my fourth year of university and to meeting next year’s Career Assistants. Come by CareerZone and visit me for job search resources and document reviews!" "Hi all, my name's Chloe and I'll be one of your two Career Assistants around this summer to help you with any Career needs. Just a bit about myself: I am going into my fourth year of Brock's Political Science program and one of my favourite things to talk about is travelling (meaning if you ever want to get to know about some international opportunities, come on by!). Besides international resources, I am excited to be here to help Brock students on campus this summer- either with finding a volunteer or work opportunity in the area or by helping you with any program questions. Feel free to come see me anytime!"